Review: Best and Worst Treatments For Pimples | beauty. bikes. Although I am officially in my late 20’s, I still get pimples once in awhile. In fact, I started getting more pimples on my face in my 20s than in my teens. While I was still in school I only got them on my scalp, hidden from view, thankfully! So throughout these recent years I’ve tried a few products for my skin and here are some of the best & worst of them. These reviews are personal, and if you have cystic acne, I would suggest that you visit a dermatologist for professional help. My dermatologist is Dr Lawrence Khoo at Dermatology Associates. Initially I was afraid to try a brand that was relatively new which I never heard of before last year. But.. when you break out, you kinda get bold and desperate. So I reached for this and boy, was I surprised! No stinging, goes on great under makeup, no peeling.. and my pimples diminish within a couple of days of using it. Since then, it has been my go-to pimple solution. 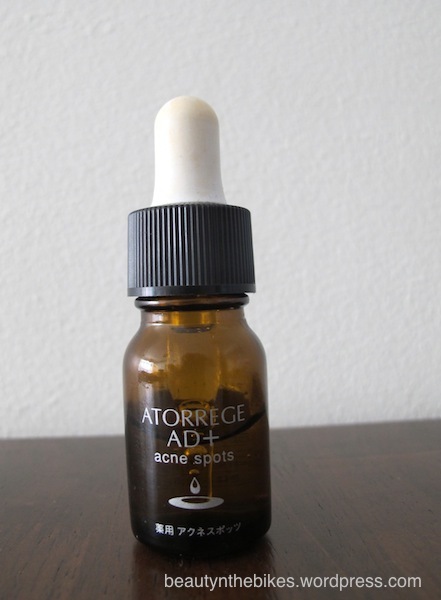 There’s a dropper which keeps the product uncontaminated when dispensed, but each drop is quite large (since the consistency of the gel is quite thick), so unless you have quite a few zits to treat, you don’t really need the dropper. I would definitely recommend this, even if you have sensitive skin, because it does not dry out or sting your skin. Wow- what a mouthful. Let me condense it. An uber lightweight moisturiser for those plagued by spots. Created for sensitive skin, but can be enjoyed by most skin types. This is great if you have oily or combination skin. I find that while using this, I don’t get shiny so easily, it really helps with mattifying my skin. Before I bought this, I was dreaming of the perfect product. I wanted a concealer with sulphur or salicylic acid to treat the pesky zits while cleverly covering them. This is NOT what I was looking for. I bought this in the US (it’s shade II, for medium-toned skin, as Singapore only carries the one for light skin tones), and it doesn’t cover my pimples well, and does not even blend well into the skin. I won’t even dare to use this on a photoshoot because I’m so afraid of how it just looks so patchy after applying. 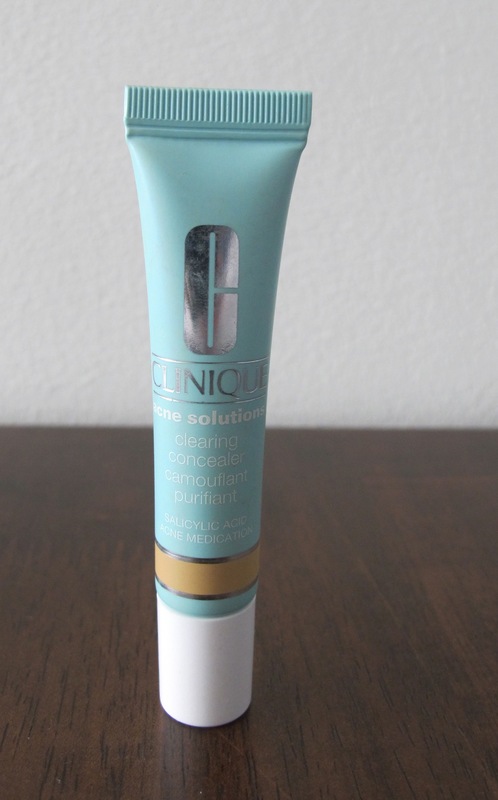 After my epic fail trying out the Clinique Clearing Concealer, I was introduced to Averine’s Cover Spot. I heard that this is one of the really popular products that Averine has, so I’m going to try this out next and see how it works for me. I haven’t tried it on my face yet, but on my hand, it feels creamy, and it gives high coverage. 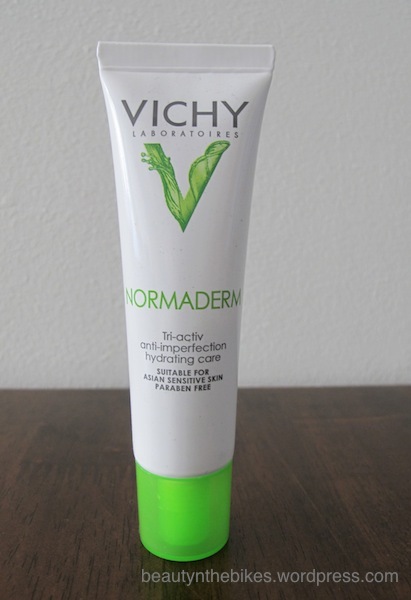 It contains salicylic acid – yay! Tags: acne, concealer, pimples, skincare. Bookmark the permalink. hey Joanna, have you tried Kiehl’s Acne Blemish Control blah blah the name goes on…? ;P It’s basically a pimple cream, but comes in a tinted version to tone down any redness from the spot! It’s been my HG for a while now, but am curious to try out Atorrege! Hi Joanna, you might like to try out Eucerin Dermo Purifyer Cover Stick. I’ve been using it for a while and it just blends naturally into your skin to cover your pimple (there is only one colour) and it has salicylic acid too. 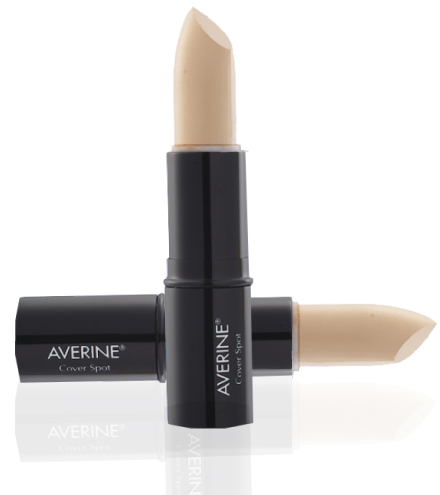 Pingback: Averine Launches A Freshly Made Over Makeup Range – Introductions & Reviews | Beauty. Bikes.